Home » Feature Stories » Join Us for TONIGHT’s Hobo Picnic in Derry! Join Us for TONIGHT’s Hobo Picnic in Derry! A $2 donation is suggested for the cost of the meal. 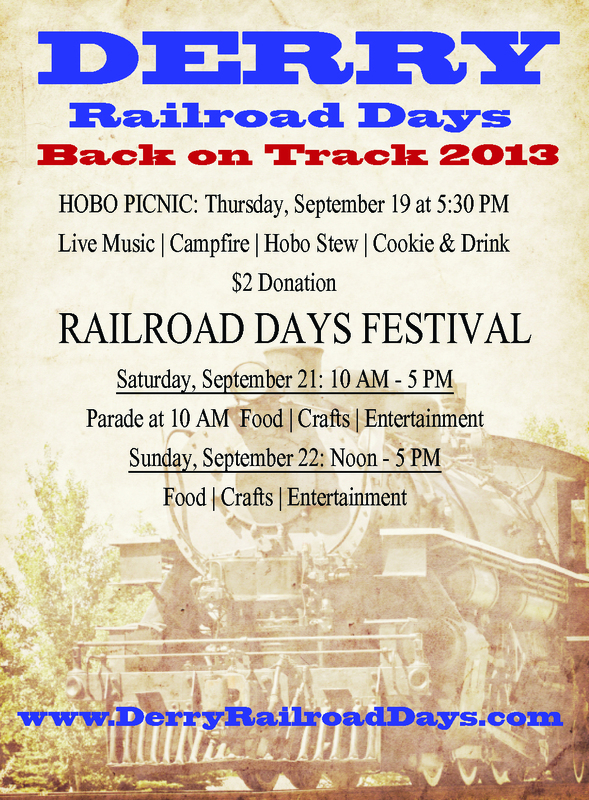 Railroad Days festivities continue on Saturday and Sunday in downtown Derry! By Cathi Gerhard in Feature Stories on September 19, 2013 .